Escalating tensions between the Middle East’s two largest economies are unlikely to disrupt business in the region or the process of lifting Iranian sanctions, despite potentially damaging political standoffs. Saudi Arabia announced this week that it was cutting all ties, including commercial ones, with Iran. This came as a reaction to Iranians’ storming of the country’s Tehran embassy in protest against the execution of a Shia cleric by the Saudis. Some have argued that Sunni Saudi Arabia, which is growing increasingly uncomfortable with Shia Iran’s return to the global stage, executed Nimr al-Nimr to get a violent reaction from Iran and show the world that the country should remain isolated. But regardless of the initial motives for this growing tension, most experts don’t believe in its ability to disrupt the process of Iran’s renewed internationalisation – and more specifically the Joint Comprehensive Plan of Action (JCPOA). Indeed, many in the west – including Saudi Arabia’s long-term ally, the US – have expressed concern about the execution, which is seen as fuelling already dangerous regional fires. Admittedly, these critics also condemned Iran’s reaction, but not as strongly as Saudi Arabia may have hoped. 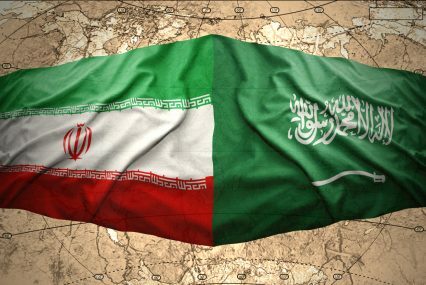 In the region itself, Sunni and Shia powers voiced support for their respective allies: Bahrain, Kuwait, Sudan and the UAE reduced ties with Iran to various degrees, while Shia groups in Iraq, Lebanon and Yemen condemned Saudi Arabia. Note the absence of reaction from Qatar, which has strong ties with Saudi Arabia, but shared ownership of the world’s largest gas reserve, the South Pars/North Dome gas field, with Iran. As of yet, only Saudi Arabia has decided to stop trading with Iran, and trade volumes weren’t significant enough for this move to be damaging. In fact, only the UAE, one of Iran’s most important commercial partners in the region, could tip the balance, but it is unlikely the country will overlook economic interests for political reasons. He tells GTR that the current crisis is mainly political, and will not threaten commercial interest at a time when many are awaiting the lifting of Iranian sanctions to boost trade with the country. “We must remember that there’s a lot of trade that the Arab countries can do with Iran and there’s a potential benefit for some of them. So whilst there seems to be regime to regime instability at the moment in terms of standoff, we still believe that the Arab and Iranian business worlds will grow increasingly closer, because there is business to be done, and wherever in the world there is business to be done, people find a way to make friends quite quickly,” he adds. While the commercial impact of this rift should remain limited, it is likely to fuel conflicts in Syria and Yemen, where Saudi Arabia and Iran support opposing sides, and for which peace talks involving both powers, scheduled to be held early this year, are now compromised.